One of the most prestigious private colleges in the United States sought to improve its business intelligence strategy by retiring its legacy Oracle Discoverer reporting tool and migrating to SQL Server Reporting Services. 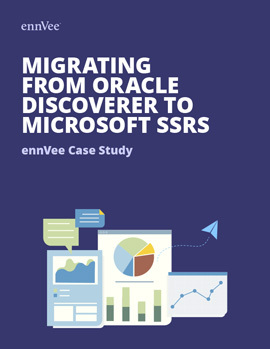 How a top college was able to extract, convert, and migrate hundreds of Discoverer reports to SSRS in 8 weeks. Check out our complete guide to replacing Discoverer and leveraging automation.